Participants in the first workshop on using literacy to help young children develop life skills. The workshop was repeated for a second class. 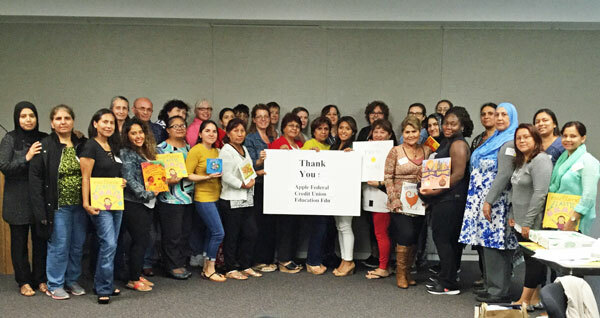 Thanks to a grant from Apple Federal Credit Union Education Foundation, 72 early childhood educators have participated in a workshop on using literacy to help young children develop and practice life skills. Workshop attendees increased their understanding of children’s emerging executive function skills and early brain development. Working in groups, participants explored strategies to build children’s confidence, encourage self-regulation and collaboration. Participants received books and tip sheets to bring back to their early childhood programs to extending the learning strategies they explored during the workshop.